As part of a market research for one of our customer, I came across this report published by Gartner in December 2008. As the pace of agile adoption increases, development organizations must understand the different levels of agile maturity. CIOs and product and development managers need to assess where they fit on the maturity scale, and which level offers the biggest return in their organizations. The report presents the 6 levels (from 0 to 5) of Gartner’s Agile Maturity Model and corrects a few myths. Agile adoption and penetration rates are being overestimated. Although the number of companies that are adopting agile practices is, indeed, reasonably high, most organizations use agile in a very small percentage of their overall work. An agile maturity framework is necessary to help make the case for adoption, process improvement and benchmarking. Current adoption rates for agile and iterative methods are between 15% and 25%, when taking into account penetration and maturity, with waterfall still the dominant approach. The pace of agile adoption is increasing. As part of an agile readiness assessment, IT development organizations should access their current agile practice maturity at technical, project management and organizational levels. Practices should be assessed for, among other things, their effectiveness and adoption levels in the organization. Adoption should follow initial pilots, and should normally be Level 2, with the aim of developing a consistent set of agile practices at Level 3. As part of my coaching training, I have purchased this recommended book. The book is a great introduction to what it means to be a coach. It explains how to be an effective coach and provides an approach that can be used for various types of coaching. A few words on the book: This is an introductory book to coaching. It provides enough material for people managers who wish to improve their management style by using a coaching approach without getting into too much details. Although the author frequently refers to sport, many of the examples provided and suggested approach do apply to a business context. The book is easy to read and pragmatic but it isn’t enough to completely change one’s management style. Pleased with Collins’ previous books (Built to Last: Successful Habits of Visionary Companies and Good to Great: Why Some Companies Make the Leap… and Others Don’t ), I decided to read the third book of the trilogy. A few words on the book: Contrary to the previous two books, “How the mighty fall” comes across as an hudge-pudge of simplistic conclusions derived out of the same series of data used for the previous books. Similar to his previous books, Collins introduces a 5 stages model to explain the failures. The problem I had with the book is that the conclusion do not seem to be based on lengthy analysis but on quick conclusions that are company specific – i.e. if a similar company applied the same actions, would they actually get to the same results? It seemed to me that the failures were related to many circumstances that were specific to the organizations – not at a macro level but within the organizations. In addition, the author put too much emphasis on the leader of the organizations and very little on the inner workings. A few days ago, we invited representatives from a potential customer over to visit our office. They are seriously considering a transition to Agile but some of the managers had questions with regards to what an Agile work space could look like. The potential customer is a large insurance company and like most insurance companies, people working there are used to a traditional (very traditional) work space. We could see they had some reservations about the open-concept before coming for a visit. 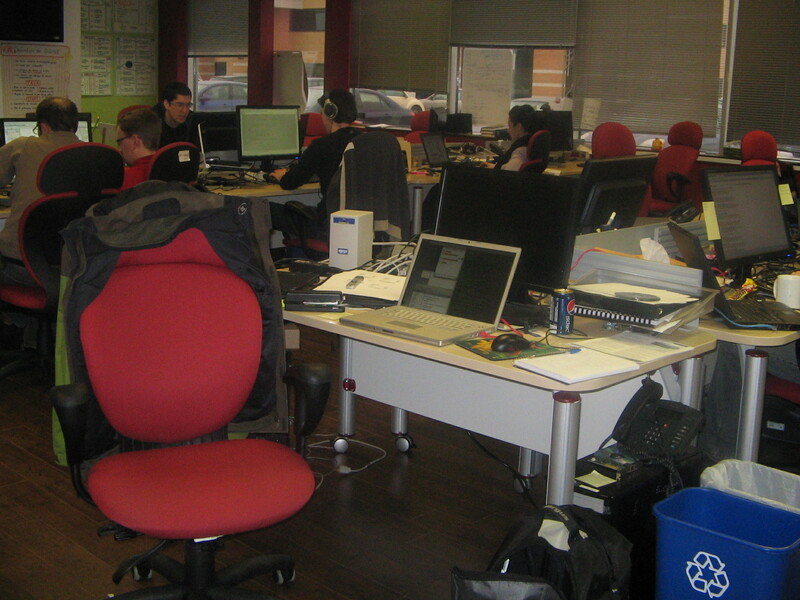 I invite you to email me a picture of your Agile work space (martin [at] analytical-mind.com). In the spirit of sharing best practices and getting ideas from each other, I will post your pictures and your company’s name for people to get inspired. 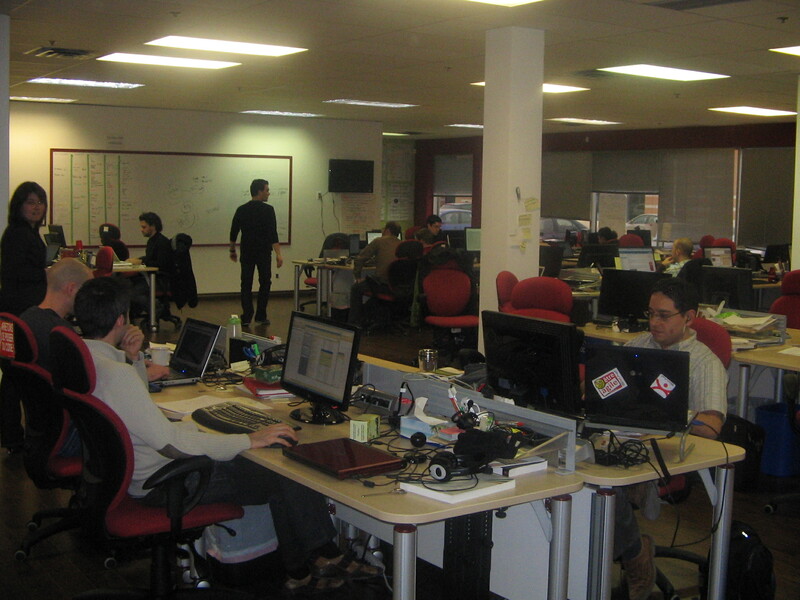 You can also share with everyone what makes your work place the Best Agile Work Space. We’ll even ask people to vote! Let the contest begin to determine the “Best Agile Work Space“. Tell your friends to email their pictures. 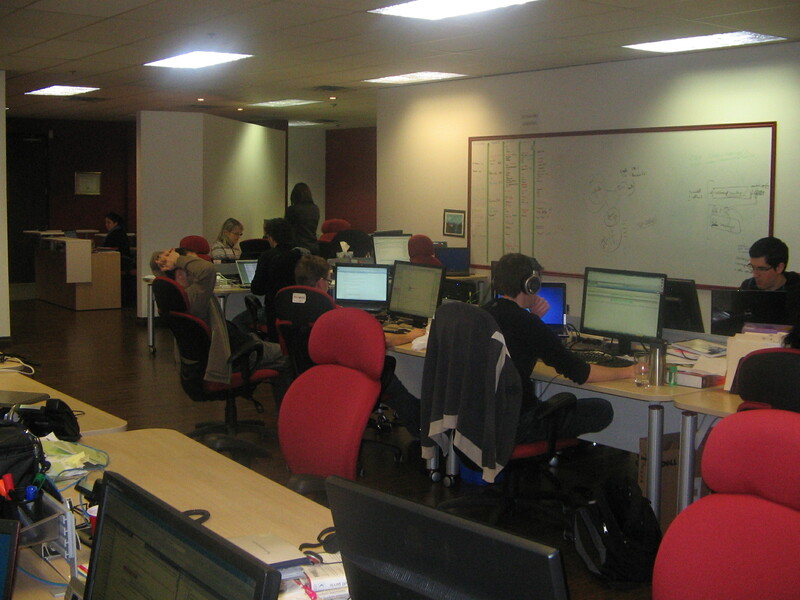 To launch the contest, here are a few pictures of our work place. Windows are often a scarce commodity and are doled out to an organization’s favored employees. One of the nice things about an open workspace is that windows are shared. Even if the view is only of our parking lot and can only be seen across three messy desks, at least I can see the window and some natural light – The Ideal Agile Workspace | Mike Cohn’s Blog – Succeeding With Agile®. 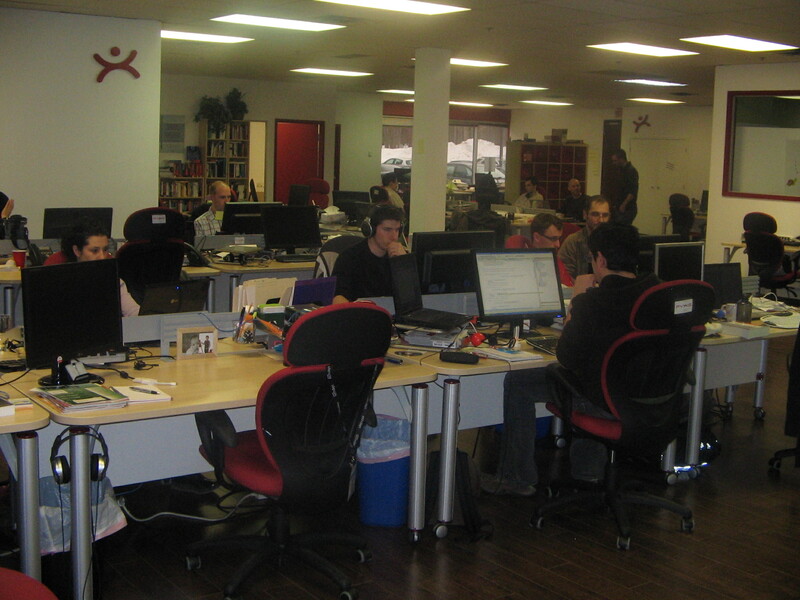 Our New Agile Workspace – Our New Agile Workspace on Flickr – Photo Sharing!. I started to respond in his comments and then remembered that it would be better to capture our workspace on video to share with others. I am hoping other agile shops will do the same. We are always eager to see how others are doing things so we can continue to improve – Attempting to Achieve the Ideal Agile Workspace | Derek Neighbors. Ward Cunningham among others was a big influence early on in making it happen. 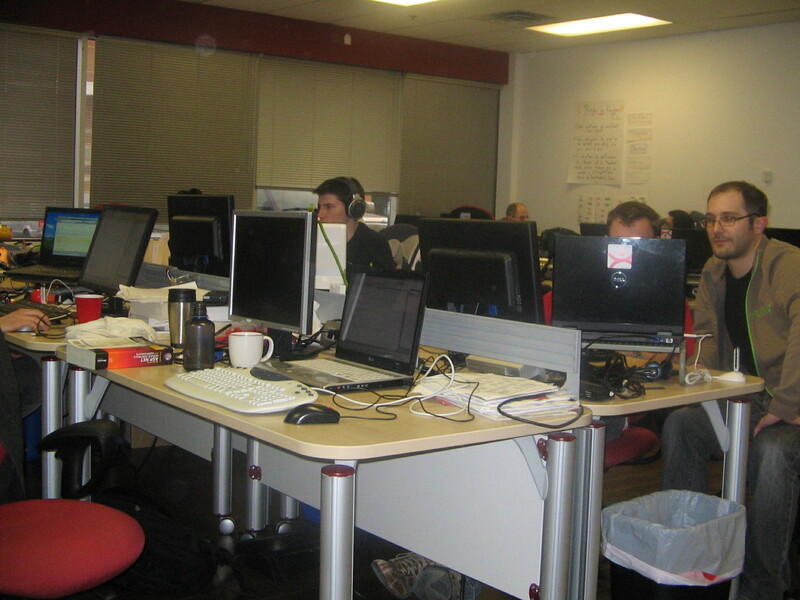 The patterns & practices team workspace is optimized for agile development practices. The workspace features writeable walls, configurable workspace, speaker phones, projectors, focus rooms, and a customer room – Shaping Software » Blog Archive » Microsoft patterns & practices Agile Workspace Tour. If at any point while you read this post, you disagree with any of my statements, go ahead and click the “Leave a Comment” link. Express yourself! Are you familiar with such problems? These are only a handful of typical problems encountered by a manager and for most experienced managers, they may sound trivial. Considering that new leaders are not born with management abilities, how can we expect them to be successful in their role? Without prior education and experience outside the software development sector, most managers are ill-equipped to successfully perform in their role. With an average salary1 of $85,000 to $125,000 depending on the number of years of experience and location, why wouldn’t an organization invest a few thousands of dollars to hire a coach in order to help develop the people management and leadership abilities? Despite the economic downturn, I still see organizations spend thousands of dollars on training or conferences. Although I don’t argue the value of such events, I doubt they support the development of people management and leadership abilities. It seems to me that we need to help those in management position succeed. Otherwise, the performance of the entire team will suffer. You can find more information on our web site. Being first and foremost an example of what it proposes to its clients, Pyxis is seeking Agile consultants wishing to evolve in a unique organizational structure relying on autonomy, initiative, and collaboration. The Agile consultant will carry out projects at the clients’ site. He will act as a coach or ScrumMaster in organizations wishing to adopt or improve Agile development approaches. At Pyxis, consultants are software development buffs. They are pragmatic and they like to work with people from various disciplines. Remuneration based on the value you bring to Pyxis. In their recently released study “Agile Development: Mainstream Adoption Has Changed Agility“, Forrester reports that “35% of respondents stated that Agile most closely reflects their development process”. The report is based on Forrester’s/Dr. Dobbs Global Developer Technographics Survey, Q3, 2009, which surveyed 1298 application development professionals. In the past few years, Agile processes have not only gained increasing adoption levels; they have also rapidly joined the mainstream of development approaches. 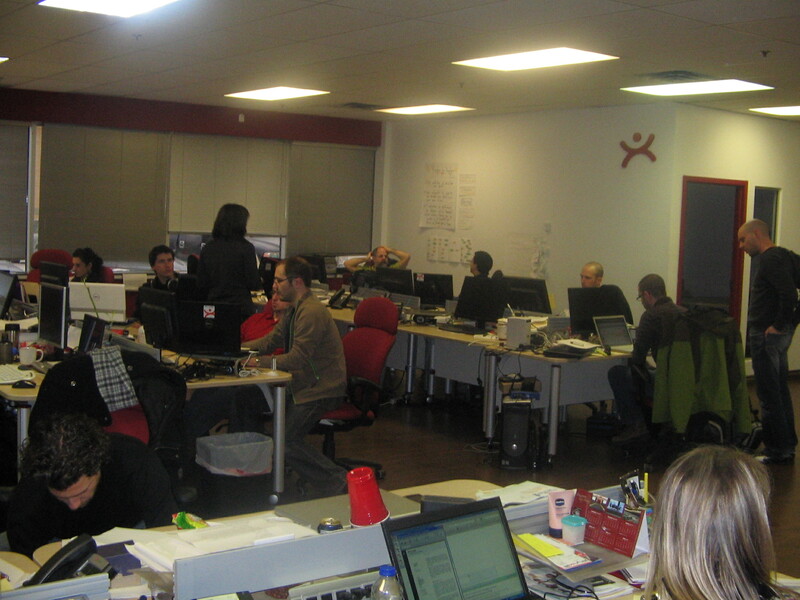 And while more organizations are adapting to Agile conventions, Agile is also adapting to the workplace. Perhaps the clearest sign of the mainstreaming of Agile is the abandonment of orthodoxy: Teams are puzzling out the mix of methodologies and combining them to fit within their organizational realities, blending Agile and non-Agile techniques and practices to create a hybrid methodology that fits larger organizations. Other changes, such as new team dynamics and the redefinition of roles such as the business analyst, show the genuine force behind Agile adoption. It’s time for software development professionals to stop sitting on the fence where Agile is concerned. According to those who have successfully adopted Agile, the benefits are well worth the effort, and with the recent dramatic increase in Agile adoption, the probability of working in or with an Agile team has increased for everyone. And then offers a recommendation to get the most out of the transition: “App Dev Professionals Should Blend Agile Methods To Meet Their Own Needs“. Agile methods encourage more-collaborative development than do traditional approaches, and many developers who have shied away from formal development methods in the past — believing them to be the province of “management” — have embraced Agile as a “formal” development process. The report shows that of the various methodology, Scrum leads as the most adopted Agile methodology with 11% of the organizations reported using this approchach. Other Agile approaches used are: Agile Modeling (6%), Feature-driven development – FDD (3.8%), Test-driven development – TDD (3.4%), eXtreme Programming – XP (2.9%), Lean development (2.1%), Microsoft Solutions Framework – MSF for Agile (1.8%), Agile Data Method (1.6%), Adaptive Software Development – ASD (1.3%), Six Sigma (0.9%), Crystal (0.3%), Behavior-driven development – BDD (0.2%) and Dynamic Systems Development Method – DSDM (0.2%). When it comes to selecting an Agile methodology, Scrum is the overwhelming favorite – claiming it is simple, practical, and popular. The report shows that when organizations select a development approach, they do so in the context of their organizational priorities and characteristics. Each organization carefully selects the approach that will best address their weaknesses rather than implementing Agile methodology for its own sake. In addition, participants considered the engineering processes to be critical to the success of the transition. Teams do not usually implement all of these techniques simultaneously; even in the most mature Agile adoptions, teams pick the techniques that work best for them (…) This variation in the adoption of Agile components indicates that teams are more concerned with making sure they are working well together and producing high-quality software than with changing their software engineering process. Overall, the report clearly shows that organizations who have transitioned to an Agile approach use a pragmatic strategy and adapt the methodology that are best suited for their environment and context. While only 27% stick to a particular methodology, 63% mix different methodologies or mix Agile with non-Agile methodologies. A support plan. Adopting Agile practices is not a trivial change; it requires support and time to become effective. The use of external coaches, training materials, and internal support groups can greatly increase the speed and success of adoption. Flexible adoption models. One size does not fit all. A focus on team empowerment. It sounds really easy, but this is about more than just saying that teams are empowered. A tool strategy. A single team in one location working alongside a customer may be able to work without any electronic tools, but as organizations scale and teams become more distributed and part of much larger releases, Agile methods benefit greatly from tools.